Angelica. Clarone. Doris. Lleno. Melodie. Orlos. Quint. These are not typical names on a class list. An organist though, might find these names on some stops in the console1. Having particular sounds in mind, the organist knows when to pull these stops out or push them in. If he wants to emulate a trumpet, flute, or oboe, he’ll pull out the stops that will give him those sounds. Before stops were invented, there was no mechanism to turn off certain pipes, so the effect was akin to a mass choir singing simultaneously, which may not have been the sound the organist wanted! Stops give the organist a greater range of possibilities of sound, so he intentionally selects them to accomplish his intent. 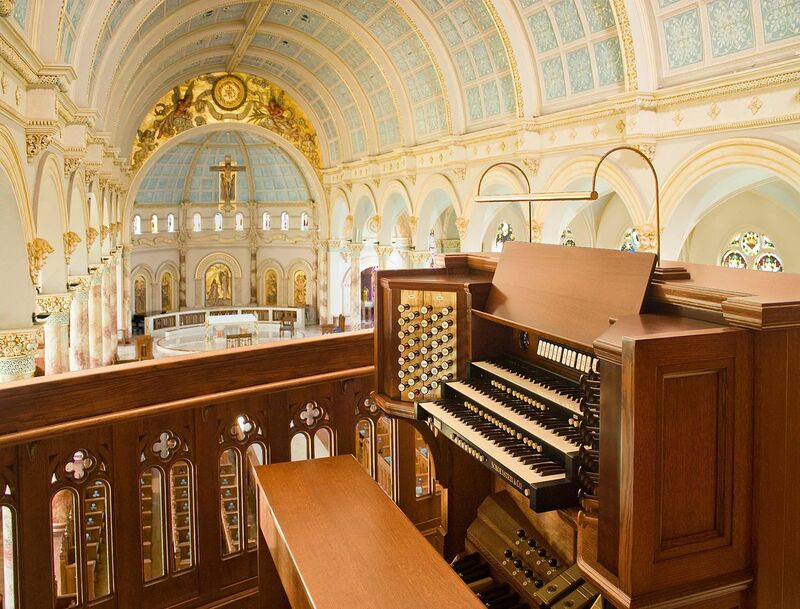 There are distinct commonalities that make pipe organs similar. They all have a console with stops and one keyboard or more. There is a board of pedals. There are tin and wooden pipes of varying lengths. Yet each organ will be different in console design, in size, and in sound, some being French, romantic, or even Baroque. What sets multi-age classes apart from other organizational structures is that children are viewed as a community of learners rather than as two or three different grades sharing one teacher in one classroom.4 The intentionality behind a multi-age classroom is to regard the children as one class, as one group of students, as a whole console of students, whose learning will be organized and differentiated by the teacher. What does this look like in a school with multiple multi-age classrooms? Common planning times are scheduled for teachers to collaboratively prepare their units or themes of study. This allows for checks and balances regarding developmental milestones represented by the ages of students in the classroom. How and when will the teacher pull out the 4’ or 8’ stop? Common planning helps teachers identify specific learning targets and then articulate the essential learning outcomes so that all children can achieve them. Since many ‘big ideas’ are the same throughout the curriculum (e.g. writing in a variety of genres for various audiences), multi-age classrooms lend themselves well to having all students in the class often work together. Multiple teachers collaborating during common planning times generate a broad range of strategies and experiences to ensure learning. Because the children are regarded as a class, the classroom environment is arranged so that students are intermingled. You will not find Grade 2 children sitting on one side of the classroom, with Grade 3 students sitting on the other side. Children are neither grouped by age nor by ability. Visitors to these classrooms will be challenged to know which student is in which grade. During my ongoing visits to several multi-age classrooms, I still don’t know which child is in which grade. Differentiating instruction in a class of children that spans four birth years is challenging. To address this challenge, teachers in these multi-age classrooms must draw upon their collective years of classroom experience to accommodate the needs of the diverse ages and abilities of their students. I have observed several classes where there are up to five different levels of learning on one topic. For example, in one class, children were learning to skip count, a learning outcome in both Grade 2 and Grade 3. Some children were skip counting forwards by 5; others were skip counting by 2’s – backwards! Younger children who were ready to skip count by 25’s were being challenged to do so, and older children who lagged a little were reinforced in their skip counting by 5’s. One child explained that when he used the 100’s chart to skip count by 25’s, he visualized groups of 25 by thinking of quarters. (see video clip) Flute, trombone, viola – the teacher pulled out various stops to ensure that all students were being enriched or supported depending upon their needs – concurrently, producing a lovely sound of learning. Another multi-age class I observed was working on conventions in writing. One non-verbal child matched letters using scrabble tiles. (see video clip) Two girls searched for convention errors on a worksheet, looking for missing punctuation or capitalization. They reminded each other that upper case letters were necessary for proper nouns and at the beginning of sentences. In the same pod, a young lad in the group worked on the same skill, but with shorter sentences. Meanwhile, the teacher worked one-on-one with a child, nudging her beyond this activity, to consider improving the sentences by adding adjectives. Differentiated instruction requires pre-planning which, as these teachers who are committed to multi-age learning demonstrate, is doable. This is comparable to an organist who reads the score and selects pre-sets from which to draw at an instant, yet exercises discretion to bypass the pre-sets when the moment requires it. Perhaps one of the greatest benefits that I have seen as a result of multi-age learning, is the growth in social-emotional development. One doesn’t always think to intentionally plan learning experiences to develop this in the children, yet it is a key component of the official BC Primary Program.6, 7 Older children take leadership roles, helping peers and younger children navigate social interactions, stay on task, make thoughtful choices, and make appropriate decisions, all of which contribute to the class as a community of learners. Children learn to cooperate in order to cooperate to learn. Teachers report that, over time, younger children begin to assume leadership roles as well. This allows the teachers to pull out more stops, thus increasing the volume of learning, amplifying layers of learning, and harmonizing the voices of Angelica, Clarone, Doris, and Melodie. In effect, with a growing range of sound possibilities at her finger-tips, the teacher can pull out even more stops to accomplish her intent – joyful learning. 2 – The Primary Program, 2000, p. 100. 3 – One SCSBC school has upper primary classes with students ranging in age from 6 to 9, at the Grade 2 and 3 levels. 4 – Metaphors have limitations. For example, this metaphor doesn’t address self-directed, co-operative, nor play-based learning. See Van Brummelen, H., Badley, K. (2012). Metaphors We Teach By. Wipf and Stock Publishers. Eugene, OR. 5 – This is not to say that a split, blended, or combination class is not a community of learners. 6 – This article is referring specifically to the scenario where there are several multi-age classrooms of the same age range, e.g. several Grade 2-3 classes. As part of a professional leave, I have a year-long commitment to visit, observe, and co-teach in these classes. Being a part of this professional learning community allows us to speak into each other’s teaching practice, as iron sharpens iron (Prov. 27:17). 7 – Under the BC EdPlan, socio-development in children appears to be retained as an important component in the new Draft Curriculum Framework. The Draft is not yet available to the public.